Slack is integrating Microsoft's Office 365 services today. With apps like OneDrive and Azure Active Directory have been available on Slack, the messaging service will now have integration with Office apps and files, including a new Outlook calendar and mail app, and updated OneDrive app, and the ability to preview Office files directly in Slack. The new Outlook calendar app for Slack is designed to bring all of your meetings and calendar invites to the messaging service. It will message you when meeting meeting arrives, allowing you to respond with a single click. It will also include reminders to join Skype, Webex, or Zoom meetings. The Outlook calendar app will even set your Slack status based on your calendar, and it will add "out of office" to a status if you enabled it in Outlook. Slack is also adding Outlook mail integration, with the ability to bring emails straight into Slack channels. Previously, you needed a third-party solution to enable this. You will be able to forward emails from Outlook directly to Slack channel or direct message alongside adding a note and even including mail attachments. Similar email functionality already exists for Gmail, and the Outlook add-in will be available today. Slack's OneDrive app is also getting updated to allow users to quickly import files from Microsoft's cloud storage service. Much like the existing Dropbox and Google Drive integration, OneDrive users will be able to click the + icon to browse files and add them to a channel or direct message. Alongside these OneDrive improvements, Slack is also enabling full previews of Office files like PowerPoint slides, Word documents, and Excel spreadsheets. You will be able to preview Office files without even opening them, and Slack is similar to bringing similar functionality to OneDrive files, too. All of these app improvements will be welcome additions for any businesses or teams that rely on a mix of services. Both Slack and Microsoft Teams have been going head-to-head to try over businesses that are interested in using chat services, but it's clearly better for their mutual customers for the companies to integrate instead of fighting it out. 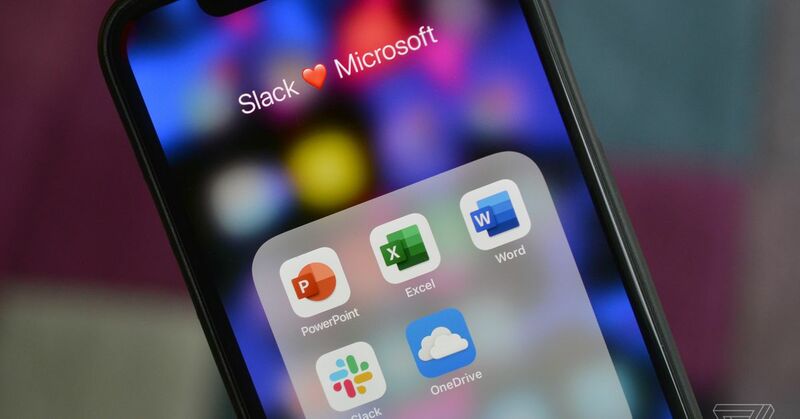 Microsoft has shown that it is willing to partner with rivals like Dropbox, but Slack's Office 365 integration was created using public APIs and with no special help from Microsoft. 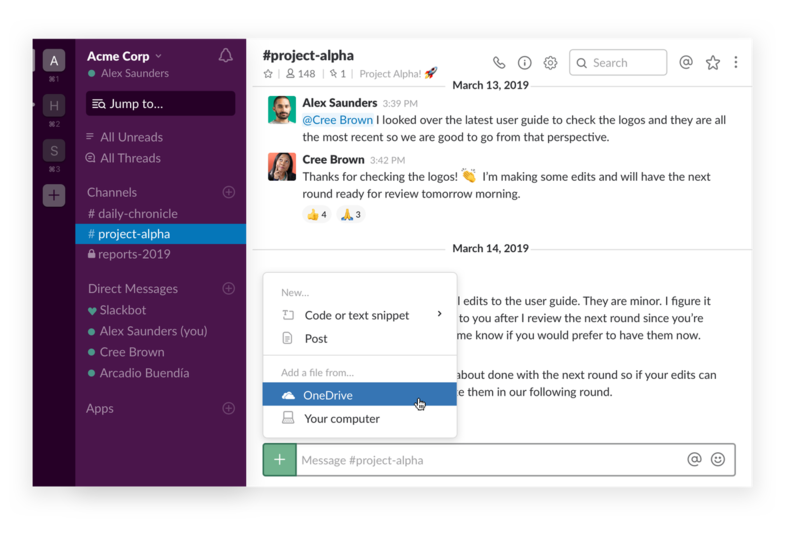 This Slack integration comes just months after Microsoft launched its free version of Teams to rival Slack, just weeks after the company unveiled creative new conference call features for its Slack competitor.